June 2017 - Previous Photograph Competitions - Military Airshows. 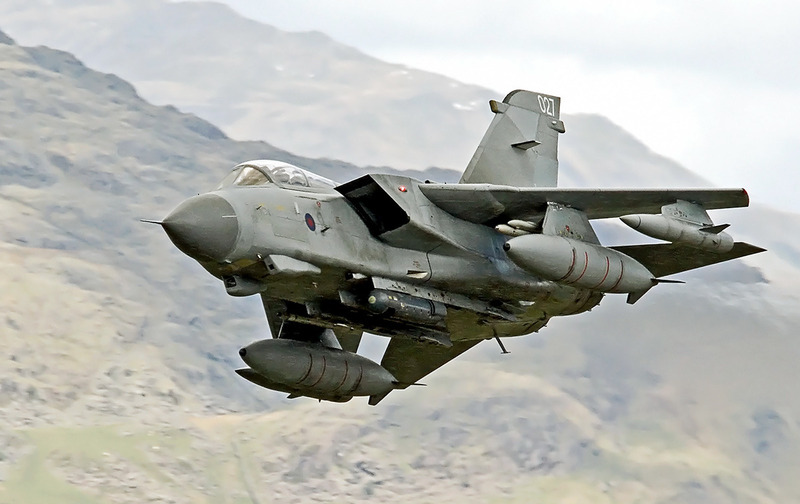 RAF Tornado GR4 passing through the "Mach Loop" mid Wales. Taken on a Nikon D7000 with Sigma 150-500mm lens. Smoke-on, was taken at AIR14, Payerne, with my trusty Canon EOS700D, and 70-300 IS USM lens. Peter Busby Vulcan & Canberra flying during Newcastle (Co. Down, N. Ireland) airshow - 2014.08.09. Taken from the slopes of the Mourne mountains which overlook the bay, using a Minolta 5d & a Sigma 170-500mm lens. Colin Boyd With the recent departure of XV squadron (Tornados) from Lossiemouth to Marham being topical:- This was taken at RAF Lossiemouth in 2016. Hawker Hurricane Mark I R4118 & Supermarine Seafire Mk.XVII SX336/G-KASX at Shuttleworth on 04/10/2015. Nikon D3200, Tamron 300mm, 1/250sec, f/14.0, ISO200. Peter Berrill Harvard Experience Flight. Taken at Compton Abbas Airfield. Camera used Nikon D7200, lens Sigma 150-500mm.